Each is clad in some pretty spikesome armour, with the hides of Cold Ones draped over their shoulders. The Witch Elves are significantly less armoured, and can be modelled either with hands pointing imperiously toward their opponents – or clutching a still-beating heart. The Linemen have 3 different designs of head. 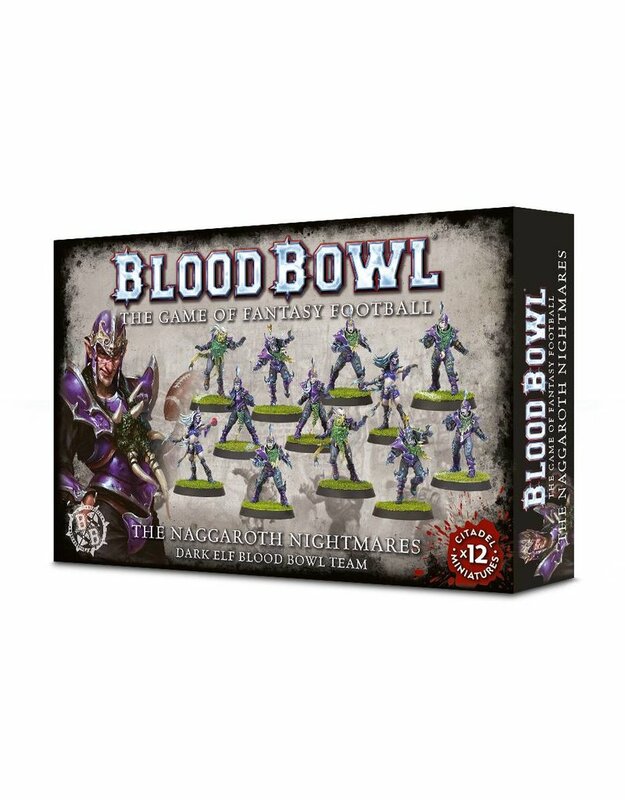 Supplied with twelve 32mm Blood Bowl bases, a 1,000,000 GP roster and a Dark Elf transfer sheet.